Choosing your health plan is not a decision that you should make lightly. There are numerous types of plans that may sound similar but differ in their coverage options. Exclusive Provider Organizations (EPOs) and Preferred Provider Organizations (PPOs) are two such health plans that offer distinct benefits. Take the time to understand each type of health plan so that you can determine whether EPO or PPO insurance is best for your unique needs. Exclusive Provider Organization (EPO) health plans are similar to Health Maintenance Organizations (HMOs) as they do not cover care outside of the plan’s provider network. The plan offers a local network of doctors and specialists in your area in which you can choose from. One of the biggest perks of an EPO plan is that you do not always need a referral to see a specialist. EPO health plans are often more affordable than PPO plans if you choose a doctor or specialist in your local network. However, if you choose to get care out of your plan’s network, your medical care may not be covered. The one exception is emergencies which are often covered even if they are out of your network. EPO insurance offers a number of benefits to patients in search of quality health care. As EPO plans limit a patient’s access to a targeted group of providers within a network, patients are better equipped to negotiate more favorable reimbursement rates with those healthcare providers, resulting in lower monthly premium payments. This money saving perk is why many patients choose EPO insurance over other options like PPO insurance. However, while EPO plans are less expensive then both HMO and PPO plans, the cost-savings do not come without drawbacks. As an EPO’s network is limited, your existing doctor may not be part of the network, forcing you to switch providers. It is important for people who are considering EPO insurance to carefully read the coverage terms and fine print. EPO health plans generally have lower monthly premiums, co-pays, and deductibles than non-EPO options. However, an HMO or PPO could potentially be cheaper depending on your individual situation and coverage needs. Deductibles can vary widely, as can co-pays. If you want the freedom to schedule appointments directly with specialists, and do not mind having to switch health care providers to one in your EPO network, then EPOs may be a good choice for you. Preferred Provider Organization (PPO) is similar to an HMO as it offers a network of healthcare providers patients can use for their medical care. Each provider within the network has agreed to provide care to plan members at a certain rate. PPO Insurance is one of the most popular types of health plans as it allows you to visit whatever in-network health provider you wish without having to get a referral from your primary care physician. As a PPO plan member, you are encouraged to use the network of providers offered by your insurance company. Unlike an HMO and EPO, a PPO allows you the freedom to receive care from any health provider, in or out of your network. This means that you can use any hospital or see any doctor or specialist. 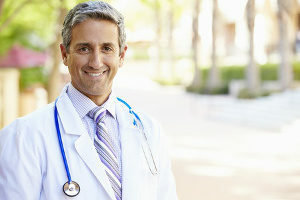 PPO insurance also does not require you to choose a Primary Care Physician (PCP). Therefore, if you already have a doctor that you like, you do not need to switch if you prefer not to. Another major perk of PPO plans is that they do not require referrals. You have the option to see a specialist without first having to consult with your PCP. With more freedoms come higher costs. Expect to pay higher out-of-pocket costs with PPO insurance plans in comparison to EPO and similar plans. However, you can reduce your costs by choosing an in-network provider who is part of your PPO network. You may also be responsible for an annual deductible that you must pay before the insurance company will begin to cover your medical bills. Some patients may also have a co-payment of about $10 to $30 on average for certain types of services. A PPO may be right for you if you want the freedom to choose your medical facility and want some of your out-of-network costs to be covered by your insurance company. 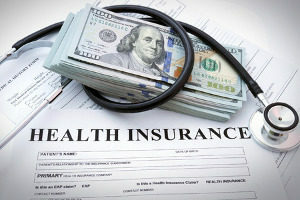 As health insurance plans can greatly vary, it is important to really take the time to see what each plan offers in terms of coverage, cost, and flexibility. If you are interested in saving money on health care costs and do not mind using a smaller network of hospitals and doctors, and EPO insurance plan may be the best option for you. If you prefer more flexibility or if you frequently need to see specialists, a PPO plan may be the better option. No one plan is right for everyone. Choose what is best for your specific situation. If you have already narrowed down your choices to EPO and PPO insurance plans, go back and reread the summary of benefits to see which plans offer the wider scope of services. Pick a plan based on what type of services you regularly use. For example, if you undergo weekly physical therapy, choose a plan that provides the best coverage for this service. If you are in good health but want to know that you are protected in the event of an emergency, choose a plan that provides flexible emergency coverage. If you are an employer who is putting together an appealing benefits package, you may be wondering what insurance plan to choose for your employees. Choosing the right plan shows that you value your employees and want to provide benefits that enhance their lives. Our team of experienced professionals can help you make an informed decision by providing you with the information you need to decide what is best for your business. Contact the Business Benefits Group online or call our office today to discuss your options or to learn more about EPO or PPO insurances. We are here to help navigate you through the complex process of choosing health plans.